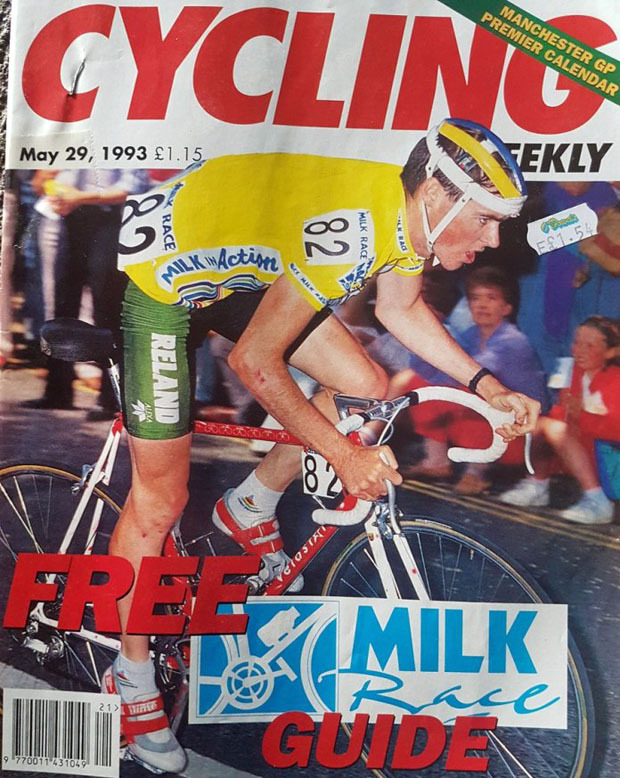 Retro Interview: There are not many Irishmen that have won the prestigious British multi-stage Milk Race... Well, actually there has only been one - Conor Henry. 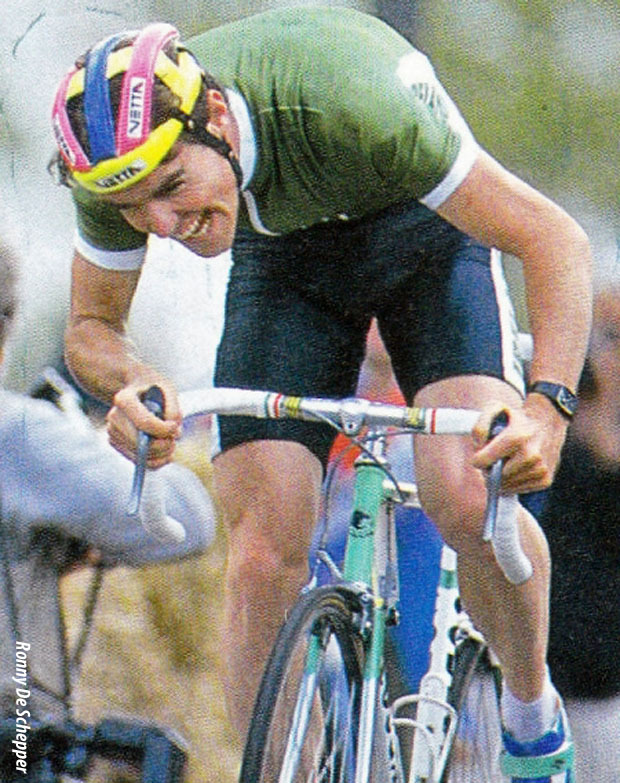 There have been many top riders from the Emerald Isle, and Conor showed so much class and talent beating the professionals in 1992, so what happened? Ed Hood finds out. PEZ: What were your expectations going in to the Milk Race, Conor? Conor Henry: I believe I went in thinking I will just see how the form is and go from there. Often in stage races it’s so hard to know until after a few days and then I could gauge where I was relative to the competition. I did think it would be hard to win because it was so flat. Thus for the 1992 race I was just hoping to win a stage at max when I entered that race. PEZ: The race started a tad inauspiciously for you. . . I fell off the starting ramp in the Stage 1a TTT. I can remember the guy held me crookedly. I shouted and then bounced the bike straight but then he moved it again just before the start and I was already falling before he even let go. I suppose he thought he was helping. 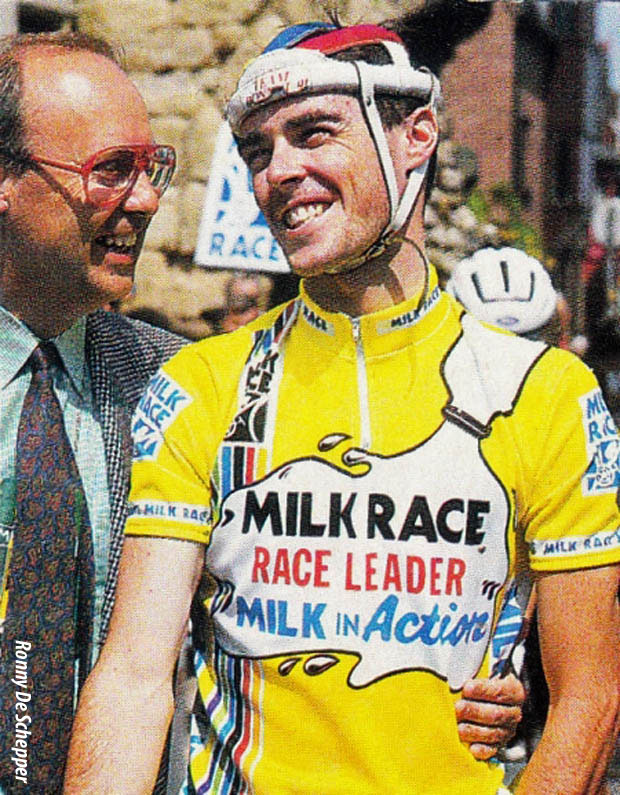 PEZ: When did you begin to think you could win the Milk Race overall? On the day I executed my attack, fortunately my team mate Ian Chivers also made it into the break. I told him to drive the break and I rode through easy. I knew I was on good form and even riding easy, but it appeared that I was doing my fair share. Every time the pace dropped Ian went through again, driving it. I can even remember going up the climbs easy trying to keep the group together. We got to about four minutes ahead when I was informed that the bunch was starting to chase. Immediately I started riding as fast as I could and somehow the plan seemed to work and the bunch miscalculated. PEZ: The British pros ‘ganged up’ to try to usurp you, didn’t they? The British pros did try to team up on me but that was to be expected and they were always fair so I had nothing but respect for them. Whilst Henry is modest about defending his lead to the end, it was a huge battle to the very last metres of the race with Belgian podium finisher Peter Verbeken of Collstrop off the front and the Irish team desperately fighting to hold the line. 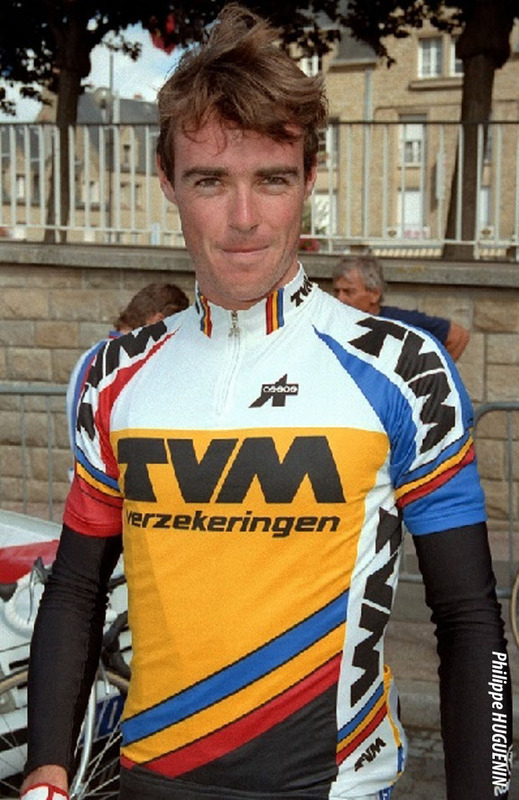 PEZ: On the strength of the Milk Race win you got a stagiaire place with TVM. I managed to get a trial with TVM through Frank Quinn. He also managed the other Irish pros. PEZ: You had a good result in the Tour de L’Avenir for them? I rode the L'Avenir but only managed second on one stage. I was shattered after a long season and really would not have raced at all if it wasn't my trial for the team. PEZ: But they said that when you rode some late season races for them in Italy you didn’t get the results they wanted. Italy was the same. When you are exhausted at the end of the season that that is it your season is over whether you like it or not. I was also supposed to go to New Zealand with the Ireland team which I really wanted to do but I was just done. PEZ: I’ve heard it said that not getting a contract was more about politics than ability? As for the politics of not signing for TVM who knows, I surely don't. The thing is they gave me trial and I was too tired to ride well so what can you say? PEZ: How was your Olympic experience? Barcelona - I remember that even then I was tired from the season. I should have done much better but that is the way it goes and I was never a one day specialist. PEZ: You had successful season in France as an amateur, didn’t you? As for France, I went there in 1989 I think. I lived in Paris for four years and they were the best years of my life. I remember when I went thinking that if I never do anything else for myself I will have taken a few years just for me and done exactly as I wanted. PEZ: You were on the podium several times in your Nationals but never managed to win. . . In the Nationals, mostly they were almost impossible for me to win. Some years you have a few favourites but for at least two or three years I was clearly the sole favourite. I think one year I won about 15 or 20 races on the trot before the national so I was clearly the favourite. Everyone knew it and I was ridiculously marked. But that was to be expected. So even though I would have dearly wanted to win just once it was not to be and I don't blame the other riders for doing the obvious. PEZ: You spent time in California? No racing in California just work. PEZ: You came back after ‘retiring’ to ride the Commonwealth Games in 1998? The comeback was difficult because I hardly done any cycling for a few years. However I thought it would be good challenge to see if I could go from no training to the Games in one year. It was great though because everyone told me the racing was so much quicker and I found out that it wasn't! PEZ: You moved to England? I went to England because I was at a loose end. I did not know what to do with my life so I decided to do a degree while I was thinking. Fortunately I had attained my A levels many years ago so I got into Law in London. After the degree I still had no idea what to do but I met a girl from Kent and I have stayed. Looking back, and I am not joking when I say this, I would have taken drugs especially when on trial. 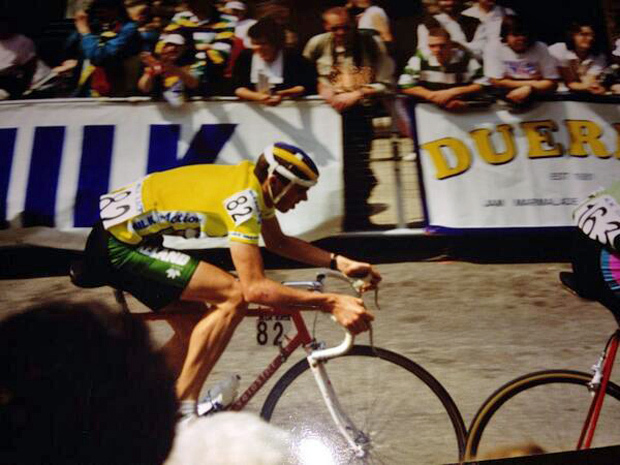 There were days when I was climbing faster than everyone; even some of the best riders in the world pro and amateur. However my form would come and go with tiredness - as is human when you are clean. Incidentally I always thought and still do that the English pros in the Milk Race were clean. I never wanted to taint my passion with drugs but since retiring I realised that most were on drugs and I really wish I had taken some just to know how good I really was. Maybe I still would not have been good enough but at least I would know. Also I possibly would have made enough money so that I wouldn't have had do a job that I would rather not.